The Australian Aboriginal Dream-Time can be confusing to some. It is actually a compilation of not only all their beliefs and history, but also of what is to come. The Dream Time has different meanings, sometimes if you are looking into the past, you are using memory, and when looking into the future you are using imagination. They believe that we are spiritual scientists and are only “dreaming” this life. We are all born with a bank of energy. All energy, including money doesn’t disappear, it just changes form. All travel and activity uses up energy, time and money, when we run out of time and energy, the body dies. As in Christian belief, as well as many other religions, they believe that in the beginning, the earth was flat and void.The aborigines believe all of being was created by the Rainbow Serpent,thus the Rainbow Serpent, along with other spiritual beings created everything . Instead of settling the earth, the spiritual beings dreamed it up, thus we aren’t residents of earth, we are dreaming our reality and we create everything in our reality by dreaming it first. When you go on a journey, you first dream it up. Then the dream becomes reality by actually doing the task. When you travel to Cairns for example, the time, travel and money is just a dream. We are all born with a bank of energy, when all your energy is spent converting it to time, money, etc. your physical body dies, it’s like a car that runs out of gas. The physical body can no longer support a soul.This lifetime, or “Dreaming” thus ends and the soul energy or spirit that is you changes form. To them there only two types of people, aborigines and the rest. Anyone can study their ways and become an aborigine, declare such to the Australian government and all the entitlements afforded to them can be received by anyone. The Australian Aboriginal Negroid had been in Australia for at least three civilizations, possibly for as long as 200,000 years, however, there is no scientific evidence the present day aborigines have been here longer than 12,000 years. Which could possibly indicate that they came after the “Great Flood”, or that science is wrong. Science has been wrong before. Much of their history and beliefs are displayed in rock art. Just like modern day art, only the author knows the true meaning. It tells the story of some happening or event,and everyone assumes that every painting is 20,000 years old, this just isn’t true, some could only be a few days old, and this being the case, it has been compared to modern day graffiti. One of the more unique and interesting tools found in the outback of Australia, boomerangs served a very useful purpose. There are many different sizes, types and shapes, depending on the culture, geographic location and need of the hunter. The type of prey would also determine what kind of weapon would be needed. Boomerangs were used to kill everything from birds to large animals such as kangaroos. The more popular design of boomerang, the one most often seen in movies was the most aerodynamic and looks like the wing of an aircraft. It was designed to primarily kill birds while in flight. It was fashioned so it would return to the person who threw it, thus eliminating the need to chase after it. Also many times the birds would be flying over water, so if the target was missed and the boomerang didn’t return, it eliminated the need for the hunter to swim in crocodile infested waters in order to retrieve his favorite weapon. True, if the bird was killed or wounded,(and since they didn’t have a bird dog), the hunter would have to brave the elements to retrieve his prey, but at least there was a reward for risking his life. The larger boomerangs were designed to kill larger land animals, thus they resembled a club , They didn’t come back, as they traveled along the ground, and stopped only when coming in contact with the animal in question, or struck some other object, such as a rock or tree. The aborigines were quite professional in this respect, not only in designing but using the boomerang. The target in question was more often struck and killed than not. Many boomerangs had markings indicating the tribe or even the person to whom the boomerang belonged, thus making it easier to recover if there was a question of ownership. Although the boomerang is thought to be a product of the natives of Australia, they have actually been found in such places as Poland, Egypt, and among artifacts of Native American Navajo Indians. Dating back over 10,000 years, the boomerang has been a needed and useful tool for the Australian Aborigine . Today, the Aborigines are losing many of the talents they once had, due to modernization these talents aren’t in as much demand. Corroborees or songfests are often held where many of the old ways and dances are practiced, but many of the customs of the aborigines are being lost forever, at the songfests, many times white Europeans win the boomerang throwing and other once native competitions. To the Aborigine, life was all about survival,a work ethic had nothing to do with it, here in America as well as in other parts of the industrialized world, we are taught a good and moral work ethic in order to improve our lot in life and have things previous generations couldn’t even imagine having. The Aborigine knew no such thing, because of their environment , their only focus was surviving, they don’t understand and even laugh at us for working so hard. They wouldn’t think of working hard, to do so would burn up too much energy, in turn because of the lack of readily available food, they would probably starve to death. Life was very hard in the outback, in the extremely dry years , when food was almost nonexistent, women wouldn’t ovulate, thus no children were born. There are even rumored cases of cannibalism, when one is desperate and hungry he will do anything to survive. In better times , only the healthy babies were kept, they were suckled for 7 years. The mother was expected to keep up her end of the work and raise the child. If the mother couldn’t do both, the baby was thus killed. It would take about 6 acres to support one adult, so with the average family containing four or five people, the average tribe would consist of twenty to thirty people, thus it would take many acres to support just one tribe. They lived entirely off the land, surviving mainly on ants, termites, and grub worms. If they happened to live near a stream of water, a delicacy of fish or even crocodile could be enjoyed. Even today, with all the good intentions of the Australian government, many of their lives have changed very little. 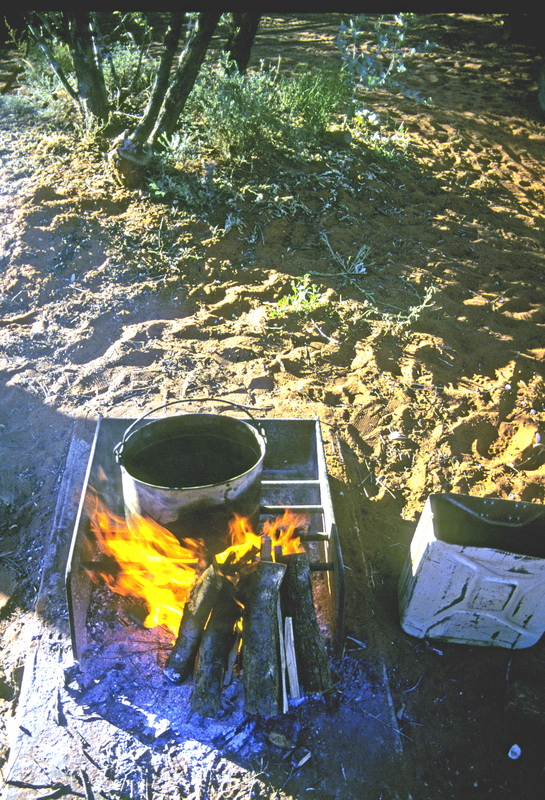 In many instances the government have provided free food,housing and shelter for them, but after spending forty thousand years living in the bush, they have a hard time adapting. Many sleep outside in back of the government housing, being more comfortable than they would be in a nice warm bed. Many have lost their way , because of the changing society, many don’t have a purpose and have resorted to drugs and alcohol. Let’s hope they don’t disappear altogether, their way of life, their intuitive ways and knowledge of life could offer us many solutions to the modern day problems we all face. A small town traveler finds adventure and intrigue while investigating a new found spirituality. Learning self-discovery, and new age thought the author ventures on a journey to the outback of Australia where he learns the ways of the aborigines and in the process discovers a new way of life. On their way to a justice of the peace to get married, a couple has a fatal car accident. The couple is sitting outside heaven’s gate waiting for St. Peter to admit them. While waiting, they wonder if they could possibly get married in Heaven. St. Peter finally shows up and they ask him. St. Peter says, “I don’t know, this is the first time anyone has ever asked. Let me go find out,” and he leaves. St. Peter, red-faced, slams his clipboard onto the ground. “What’s wrong?” exclaims the frightened couple. One of the most fascinating areas of Northern Australia is Cooinda located within the Kakadu World Wildlife Park. Located in the Back o’ Beyond and featured in the popular movie “Crocodile Dundee 2, it is within a day’s drive of Darwin. This northern portion of the Australian Outback is appropriately named “Back of Beyond” due to the fact the original settlers were mainly venturing from Sydney, so this area was beyond the known outback and was actually in back of or beyond the outback. There isn’t anything quite like camping under the Southern Cross in this remote area of the world. With the low humidity , the effects of moisture in the atmosphere is nonexistent, a God Zilllion stars can be seen. Camping near the river, the only concern would be to not park one’s swag, or sleeping bag, close to the water’s edge as a good fast croc can out run a human for about 50 feet. Sleeping puts one at an even greater disadvantage. Don’t want to become a crocodile’s version of a ham and egg McMuffin. Waking to the sight of a Wallaby gently strolling through our campsite, it was time for an early morning pontoon boat ride across the Billy Bong. A Billy Bong is a hidden body of water left by the monsoonal rains that fall in this area. As the droughts set in , the Billy bong slowly dries up until nothing is left but a small pool of water, causing the many varieties of birds and animals to congregate in a tiny area , ready to have at whatever amount of liquid refreshment is still available. Many hungry crocodiles inhabit this area, and are a lot more aggressive than an alligator. This was evident as we boarded the boat to begin our journey, several posted signs warned us if we had any body parts we would like to keep, we probably shouldn’t dangle them over the side of the boat. Peering across the water, which was being lit by the rising sun, several pairs of beady eyes could be seen just above water lever. No other reminder was needed. Hope the boat doesn’t sink, would have to learn to walk on water real fast! The Aborigines have no fear of the crocodiles, many of them can be seen swimming amongst them . They believe if one has done no wrong the crocs will not bother you. 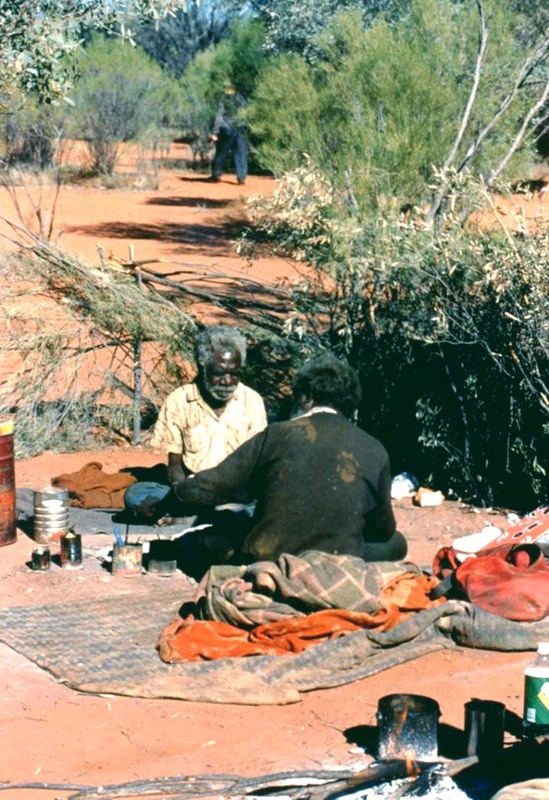 Occasionally one of the Native Australians will disappear and will never be seen again. The rest of the tribe just assumes retribution are being repaid for a past transgression. I think I’ll stay out of the water,I’m not ready for judgment day. Travel to the outback of Australia, discover the ways and teachings of the Australian aborigine.A journey of self discovery and of a way of life and culture that is slowly being forgotten and lost. Available in Hard Cover and Ebook format. Much mystery surrounds the Knights Templars . After the first crusade in 1099, in which Jerusalem was captured, many Christian pilgrims began traveling to the “Holy Place” as they had referred to Jerusalem.Situated in the Holy Land was the Temple Mount, which was believed to have been built directly above King Solomon’s Temple. Jerusalem was under strict control and thus relatively safe, however much of the land adjourning it was not. Bandits abounded and many times pilgrims were routinely captured , robbed and slaughtered as they journeyed from Jaffa to the Holy Land. About 1119, two veterans of the First Crusade, Hugues de Payens and a relative, Godfrey de Saint-Omer formed a monastic order for the protection of these loyal travelers. The crusaders thus took the name “Poor Knights of Christ and the Temple of Solomon”, or Templar Knights. Being true to their name , the nine knights had very few financial resources , thus they relied on donations to survive. Emphasizing their poverty, their emblem became that of two knights riding on a single horse. Suddenly , after their first sojourn to the Temple Mount and returning to Europe, the Templars suddenly began gaining wealth and prestige. Within a very short time the Knights Templars had become the wealthiest group in Europe, if not the world. Legend has it they found something in the basement of King Solomon’s Temple , some secret or treasure whereby they gained knowledge that allowed them to acquire this tremendous fortune. They soon became wealthier than most governments and attracted the envy and wrath of the French pope, who had been henceforth their ally and supporter. The church , having fallen on hard times, needed money. The pope therefore began to scheme a way in which to acquire the fortunes of the knights. Soon false moral and ethical charges were levied against the Templers, thereby most were rounded up and executed on Friday 13th ,1307. Hence Friday 13th has been designated as a day of bad luck ever since. Some were able to escape to Scotland and points beyond. Legend has it , some may have even found their way to North America and settled in what is now up state New York, and possibly some traveling as far west as Minnesota. This is entirely possible, as they had knowledge of the world not accessible by the common man and would have been able to make the trek across the Atlantic Ocean. Suppose the most knowledgeable settled in upstate New York and buried their “treasure” somewhere in the forests. Moving ahead 500 years, there enters a spiritual young man seeking enlightenment . Following directions from his God , this young man, after much prayer and meditation, was found worthy, and thence uncovers some gold plates near Palmyra in the forests of New York. Following directions from God and Jesus, Joseph Smith goes on to found the Mormon Church, joins the Masonic Lodge and becomes one of the great spiritual leaders of modern time. The gold plates contained the Book of Mormon, which according to Joseph Smith was written in “Reformed Egyptian “. Along with the Book of Mormon were two stones which enabled Smith to decipher the plates.The locals believed the treasure had been buried by Indians whom they thought were one of the lost tribes of Israel. Perhaps the Knights Templers did actually find this treasure in Temple Mount, used the knowledge to gain their fame and wealth, and in the ensuing years made their way to upper New York and thus buried the plates to only to be discovered in some future generation by one who would be able to carry on the work. The Templars would have actually migrated from Jerusalem, so there could be some credence to the legend. Many believe the United States is the “City on a Hill”, the “New Jerusalem” That “Bourne” from whence no traveler returns. In the same general area a Jewish Rabbi once attempted to establish a Jewish State in upstate New York, near Niagara Falls. Who knows , maybe it all ties in together. There are no coincidences in life. Do what you love and the money will follow. there is a lot of truth in this old adage, unless what you love doing is staring at your naval. I don’t know of very many people making money naval staring. A little common sense goes a long way here. Sometimes a few adjustments can go a long way in making a dream come true. If what you are doing isn’t bringing in the cash, one needs to assess why nothing is happening. It could be that not enough time and effort has been given to achieve the desired result, maybe effort in another direction will help bring about results. It’s possible that another marketing direction should be taken, or that what you are marketing just isn’t something any one is in need of, however , in today’s world ,and, with 6 billion people crawling around on this planet, there is a need for almost anything . If you find something you truly enjoy doing, life will find a way for you to prosper and make money . You have a birthright to enjoy making money. Most of us were raised with the belief that one has to work hard to make a good living. Let go of that belief, I’m not saying one doesn’t have to work to make a living, but it should be fun and enjoyable. Make work play, affirm that you are enjoying yourself and life is fun, keep reaffirming that your work gives you much pleasure. By doing that, you will find things about your profession you actually enjoy and thus it becomes a pleasure and as a result you look forward to a day anticipating what will next come your way. Make it a challenge, when difficulties arise , be challenged to overcome them and take pleasure in surmounting the challenge and thus enabling prosperity and success. No matter what the task, by treating it as a challenge, much satisfaction can result from climbing the hill and standing on top of the mountain. Becoming victorious over adversity. Often times as we get close to accomplishing our dreams , it frightens us,and we look for ways to sabotage our success. What happens if I succeed, will people still like me, will others be jealous, if I succeed , will I become bored and not have anything to work for? These are questions we subconsciously ask ourselves. These are all thoughts that can enter our minds and delay our success. This is often the final summit to climb before our mission is accomplished. It is not what happens to you, but how you react to the situation and solve the problem. There will always be another challenge to take the place of the one that no longer confronts you. If people are no longer your friends, new ones will take their place, often times with far better relationships than the ones you left behind.